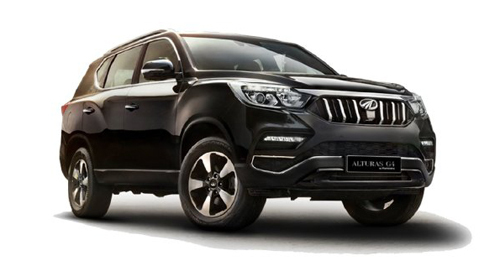 Mahindra's premium SUV has been launched in two variants with introductory prices ranging between Rs. 26.95 lakh to Rs. 29.95 lakh, ex-showroom India. 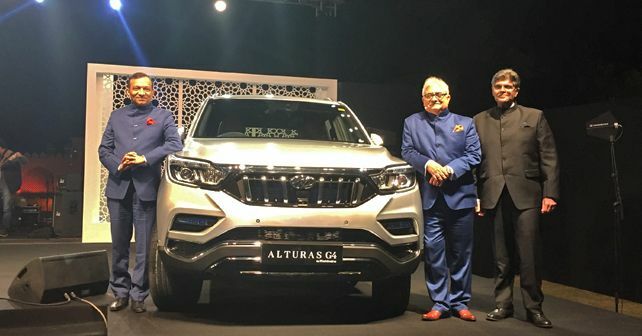 Mahindra has marked its entry into the premium SUV segment with the all-new Alturas G4. Launched in two variants, the Alturas has been priced starting 26.95 lakh while the 4WD models is priced at Rs. 29.95 lakh (ex-showroom India). The Alturas G4 will only be available with a diesel engine and automatic gearbox combination. In terms of design, the Alturas takes a rather conventional approach in comparison to the competition. Up front, it gets the signature Mahindra grille flanked by HID projector headlamps on either side. Prominent lines along the sides add a sense of character to the profile. At the back, the Alturas G4 badge looks a bit overdone for our liking. In terms of dimensions, the Alturas is longer, wider and taller than the Toyota Fortuner. The Alturas looks absolutely premium on the inside. It has diamond shaped leather wrapped dashboard, premium ventilated front seats and a large touchscreen dominating the front of the cabin. Space in the second row is pretty good too, the third row, however, does feel a bit cramped. The Alturas has a long list of features including electrically adjustable driver seat with memory function, climate control, electrically operated smart tailgate and more. Just like the recently launched Skoda Kodiaq L&K, the Alturas also comes with 360-degree camera and 9 airbags. At the heart, the Mahindra comes with a 2.2-litre diesel motor that develops 178bhp and 420Nm. This engine comes paired with a 7-speed automatic transmission sourced from Mercedes-Benz. Mahindra has launched the Alturas in 2WD avatar with a four-wheel drive option on offer aswell. There is no petrol engine and manual transmission option on sale as of now. The Mahindra Alturas G4 slots in a tough market with the Toyota Fortuner, Ford Endeavour, Isuzu MU-X, Honda CR-V and the likes. Mahindra will be selling the Alturas G4 in exclusive World of SUVs section of their existing dealerships. Through this, they intend to offer a premium sales and service experience to customers.